Lyme in Idaho | What is Lyme Disease? 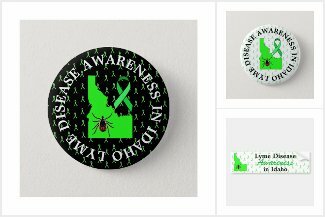 This page is meant to be a directorial for information relevant to Lyme disease, and other tick borne infections in Idaho. If you know of a Lyme disease support group, event or any other information that you think you should be added please contact us or place below in the comments. Thank you! Visit Here for confirmed and estimated cases. Here are some resources to help you find a Lyme literate physician, naturopath or treatment center in Idaho. I have started a Facebook group for hose of us with Lyme in Idaho. I am in Northern Idaho area- however all with Lyme are of course welcome and encouraged to join. The goal is to get enough to have not only online support, but also group meetings. We are also looking in the future to also have support groups for caregivers and families of those with Lyme. If you could add us to the list for Idaho Groups we would appreciate it. We are also hoping that those in Eastern Washington or Western Montana will join, as our communities are relatively close in the Northern Panhandle of Idaho. Thank you. I would like to move back to Idaho, from Canada. Is there a physician(s) affiliated with ILADS in Northern Idaho that follows Dr. Burrascano’s treatment protocol? I started myself on antibiotics and need follow up as soon as possible. I had a positive Western Blot result approx. a month ago. I hope to move to the Coeur d’Alene area and don’t mind travel to Washington or Montana if necessary. Thank you for any advice you can offer!